A residential burglary in which $4,000 worth of items was taken is this week’s Salina Crime Stoppers crime of the week. 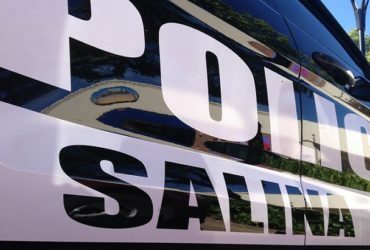 The Salina Police Department is currently investigating a residential burglary which occurred in the 1400 block of Pawnee Ave. The crime occurred on February 1st between 12:00 AM to 7:00 PM. If you have any information concerning person, call Crimestoppers at 825-TIPS, text SATIPS to CRIMES (274637), or visit www.pd.salina.org and follow the Crimestoppers link to submit a web tip. You may receive a cash reward of up to $1,000 and you are not required to give your name.